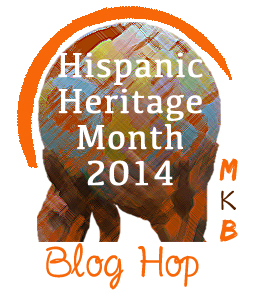 I am so delighted to once again participate in the Multicultural Kid Blogs annual Hispanic Heritage Month Blog Hop! 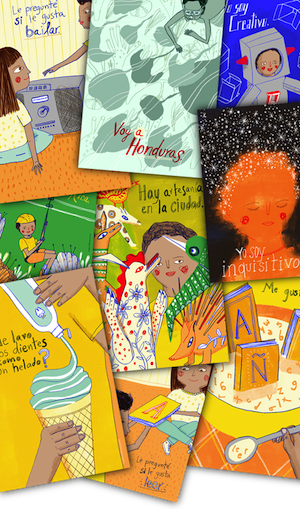 They have put together an incredible set of giveaways, as well as a ton of fabulous posts by the participating blogs (I hope you visit each one for ideas and resources to celebrate Hispanic Heritage Month!). Therefore, I want to keep my part of this post short so you can get on down to the good stuff. 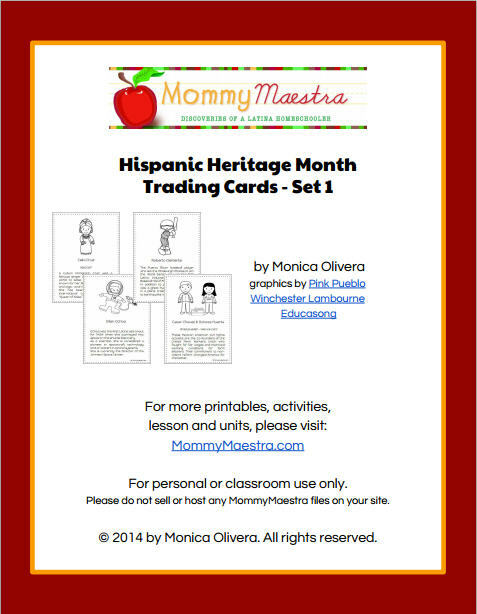 Next, I want to remind you that MommyMaestra has a TON of HHM resources for you to explore. You can find them all here. 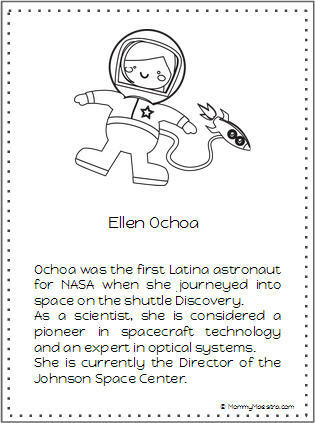 And lastly, I want to share with you today's free download: MommyMaestra's Hispanic Heritage Month Trading Cards. This first set features five influential Latinos who have left their mark on our nation's history and culture. 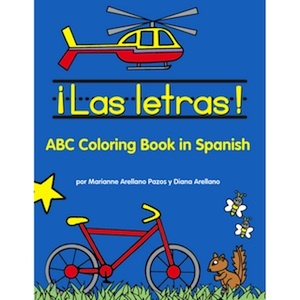 They are available in black and white so that your child can color them in, cut them out, and trade them away. We're working on more cards and will share them here over the month as they are completed, so check back often and download additional sets! 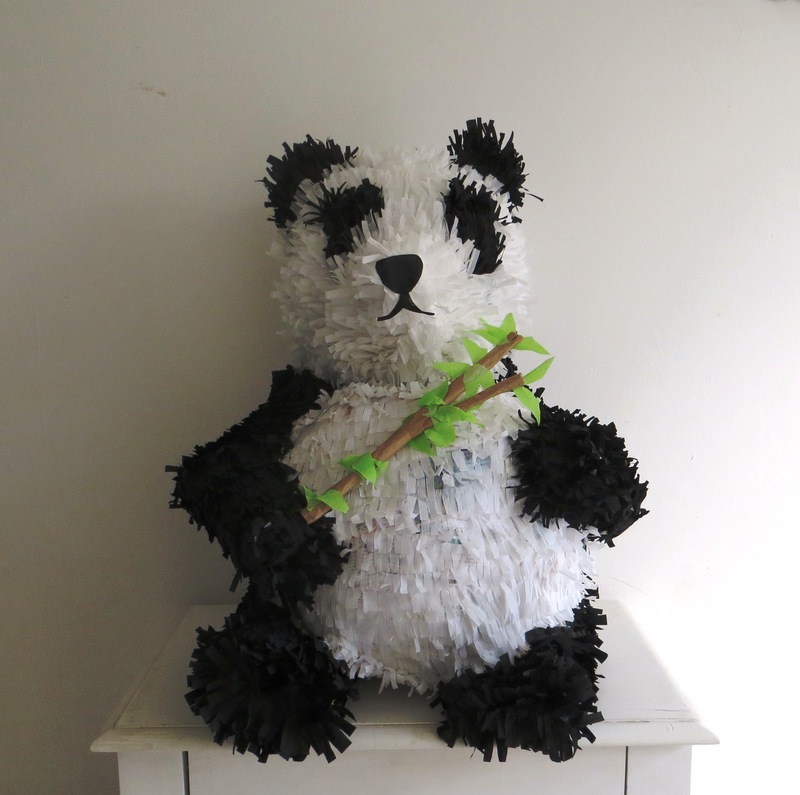 And now, on to the amazing giveaways from MKB! 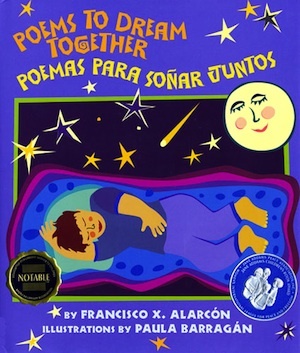 Don't miss our Twitter party "Celebrating Hispanic Heritage with Kids," Tuesday, September 23, from 9 - 10 pm ET! Follow #mkbhhm to participate! 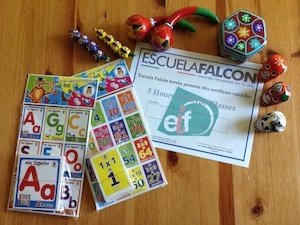 This year to celebrate we are giving away fabulous prizes! 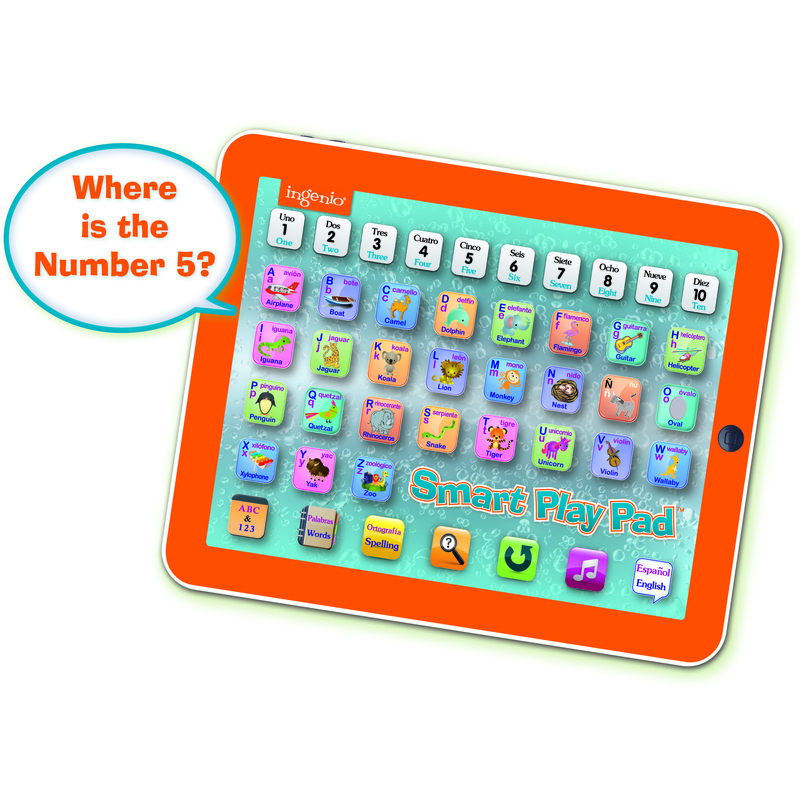 Be sure to enter the Rafflecopter at the bottom of this post for a chance to win! Please note that there are shipping restrictions on some prizes. In the event that the winner lives outside of the shipping area, that portion of the prize will be added to the following prize package. A basket from Lanugo with the book "Lula la Consentida,” a limited-edition “Latino de Corazón” infant onsie, and Seventh Generation’s baby product essentials. US shipping only. 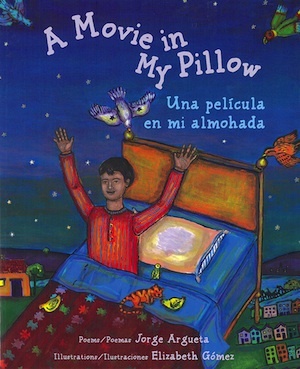 A Movie in my Pillow and Poems to Dream Together - Books of poetry in English and Spanish from Lee and Low. 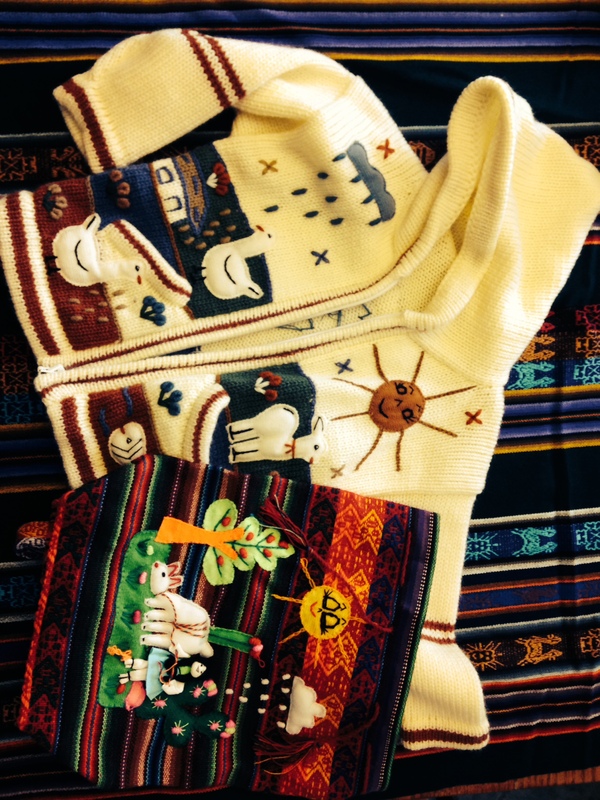 A child's sweater and bag from Peru courtesy of Kid World Citizen. The handmade, wool sweater is typical from the Andes and might fit a child ages 2-4. 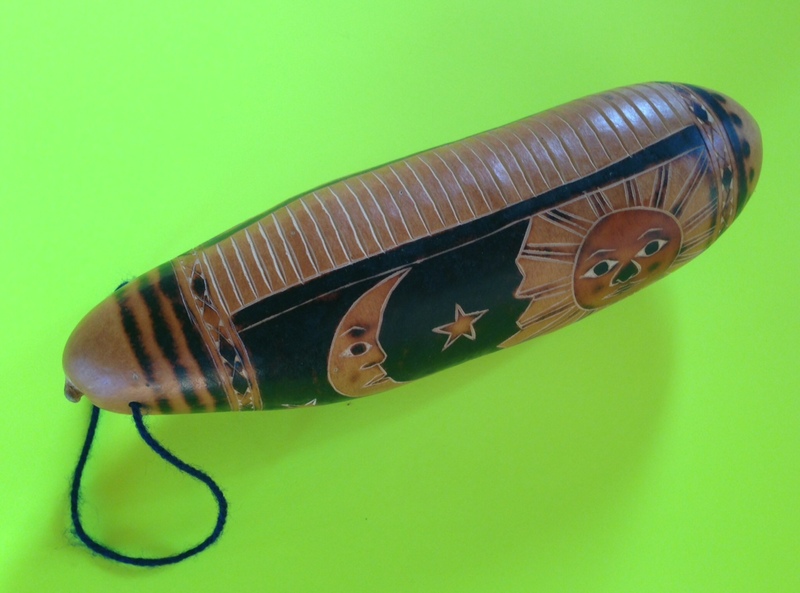 The little backpack is also handmade with gorgeous details typical of the region. 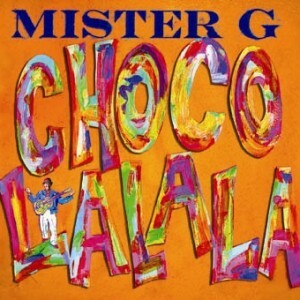 Chocolalala - CD of songs in English and Spanish from Mister G.
Hola Hello - A CD of children's songs in English and Spanish from Mariana Iranzi. 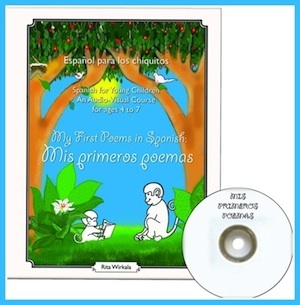 Mis primeros poemas - A book of poems and audio CD for Spanish learners from All Bilingual Press. 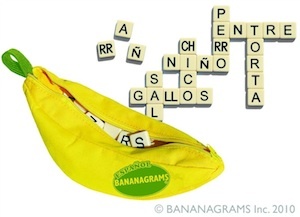 ¡Las letras! and Señorita Bienvenida en el aeropuerto - Two children's books in Spanish from Libros Arellano. 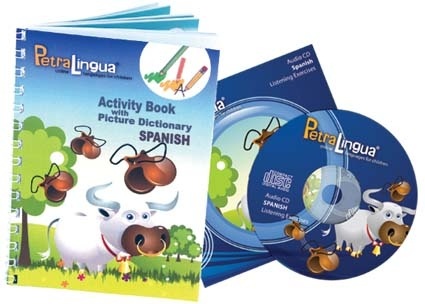 A CD of children's songs in English and Spanish from Mariana Iranzi. 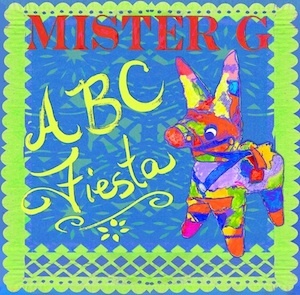 ABC Fiesta - CD of songs in English and Spanish from Mister G.
Link Up Your Posts Now it's your turn to share your posts! 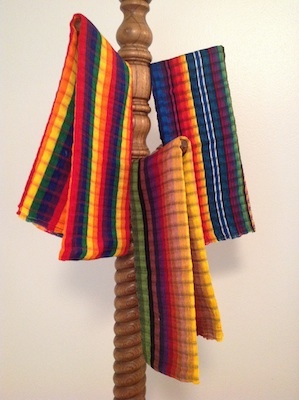 The linky will be open through October 15, so come back and share throughout Hispanic Heritage Month! I love your trading cards! 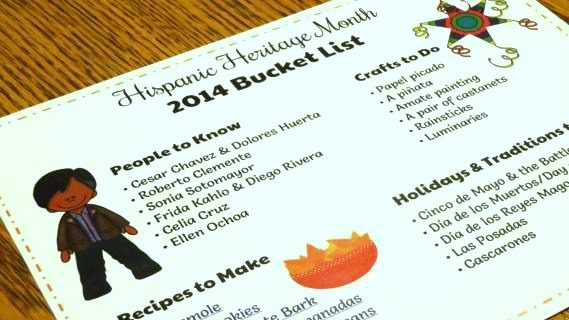 What a wonderful way to get kids exciting about Latino history! I've already printed the trading cards, and can't wait to see the next set! Thank you!